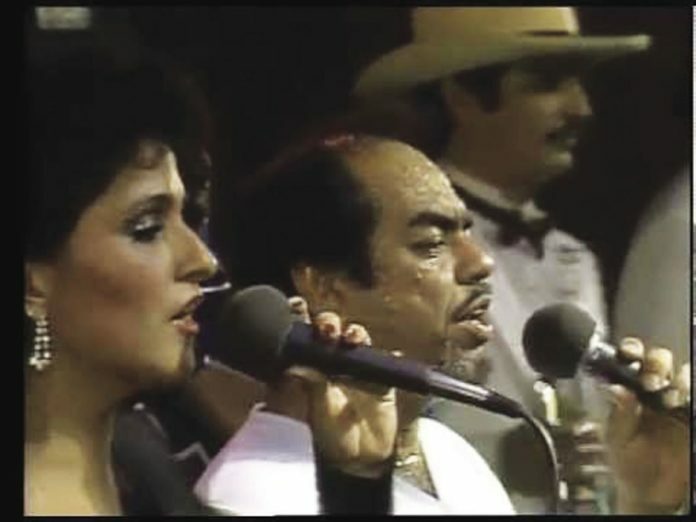 Little Joe y La Familia perform “Las Nubes” in a screenshot from YouTube.com. This week, I am going to recommend four regional gems to check out. >> “La Marcha del Campesino” and “Siguieron Los Campesinos” by Esteban Jordan — I’ve recommended these pair of songs before, but I haven’t shared this amazing quote by Esteban Jordan about the song here yet. To those that are unfamiliar with these songs, it is an epic two-part corrido on the famous March For Human Rights that the Texas Farm Workers Union did in 1977, from San Juan to Austin, then Austin to D.C.
>> “Las Nubes” by Little Joe y La Familia — Don’t have any numbers to back this up, but I suspect Little Joe y La Familia probably have the number one ranking for non-Valley bands that have played the most times in the Valley. Playing here regularly since the 1960s, and one of the few orchestras that has survived the different eras of Tejano music. Ruben Ramos is up there too. This is still so great, many, many decades later. This became an important anthem for the Chicano and farmworker movement of the 1970s. Iconic song. >> “Juan Sabor” by La Tropa F — I was just talking to someone recently, at a Ring of Honor wrestling show of all places, who worked at a Tejano night club in San Antonio during the 1990s, and he was telling me La Tropa F was their best drawing act, even better than Selena during that era. Not sure how true that is without the data, but he swore this was true. At the very least La Tropa F were huge during that era, and this is my favorite song of theirs. Such a great song and captures that era of Tejano music perfectly. >> “Mi Marianita” by Delia Gutierrez — a singer that comes from Weslaco but now resides in McAllen, and her father’s group, The Eugenio Gutierrez Orchestra. This was recorded either in the late 1940s or very early 1950s for Discos Ideal in San Benito. They also recorded for Falcón Records during this time period. Delia has a lovely voice and is one of the great pioneers of local music here in the Rio Grande Valley.